I'm relieved that the Coles isn't too big. There's already plenty of local shops within a few minutes' driving distance (Arndale, West Lakes, Royal Park, Woodville, Port Adelaide etc.). To be honest, I'm not impressed with that video. I was hoping for something that was compact, walkable, and pedestrian oriented - yet they built more automobile-dependent hell. Someone needs a slap in the face. Every exterior shot I see cars out numbering people. What is this? Texas? MessiahAndrw wrote: To be honest, I'm not impressed with that video. I was hoping for something that was compact, walkable, and pedestrian oriented - yet they built more automobile-dependent hell. Someone needs a slap in the face. Every exterior shot I see cars out numbering people. What is this? Texas? There are currently very few houses at the Coles end of St Clair. So most cars seen in the video most likely came from the greater surrounding area. Starfish Developments, a development company founded by Ironfish Managing Director Damon Nagel, will officially launch this month with a new $20 million apartment project at St Clair. Starfish Developments has received planning consent for an apartment project right in the heart of the St Clair Town Centre, just metres from the new St Clair Shopping Village and Railway Station. Called Avenue, the 5-storey apartment project, which will be the largest at St Clair, will incorporate 59 spacious apartments and has been designed by renowned property services firm Chasecrown. The project has been designed with a striking two storey high vaulted entrance lobby fronting St Clair Avenue. The voluminous stone framed entrance provides access to the lift and the car park. A series of one off large laser cut patterned screens and ‘green’ walls will complete a decorative pedestrian interface. The combination of stone, brick, render and a sweeping roof eave will give the building a contemporary yet classic appeal. Large balconies will give the apartments a spacious feel and enable residents to enjoy views towards the City and Hills to the east and the Adelaide coastline to the west. The one and two bedroom apartments incorporate spacious open plan living areas, modern kitchens with stone bench tops and stainless steel appliances, built in robes in all bedrooms and secure remote access to undercover parking with the bonus of large secure storage cages. Apartments are priced from an affordable $279,900 for one bedroom and $324,900 for two bedrooms. It will go to market on November 25 to allow buyers to take advantage of the new home construction grant before it runs out at the end of this year. The Avenue apartments is Starfish Developments biggest project to date having cut their teeth by developing 27 townhouses at Blakes Crossing and 40 townhouses at Chestnut Crescent, St Clair. The company is also in the planning stages for an apartment project in Burke Urban’s Ascot Waters development in Perth. Starfish Developments Managing Director Damon Nagel said Starfish Developments was initially established to develop properties for the investment market. “We felt local property investors were being underserved by the style, quality and price of new houses and apartments being brought onto the market, said Mr Nagel. “However, we also experienced strong demand from owner-occupiers and this has resulted in more than 25 per cent of our properties being purchased by owner-occupiers. Starfish Developments uses the research arm of their sister company Ironfish to decide on the most appropriate areas to develop and the right product mix and pricing structure for their developments. One of Ironfish’s research team’s key strengths has been their ability to identify projects that meet current and future market demand and are therefore attractive to buyers and investors. Rather than design and build their own properties, Starfish Developments will develop a project brief and then select the most appropriate local architect and builder to work on their developments. “The Starfish Developments model gives us the flexibility to then work with the designer and builder best suited to the project, said Mr Nagel. “Chasecrown is the ideal partner for Avenue at St Clair because of their experience in designing and building high-quality contemporary low-rise apartment projects in new suburbs. 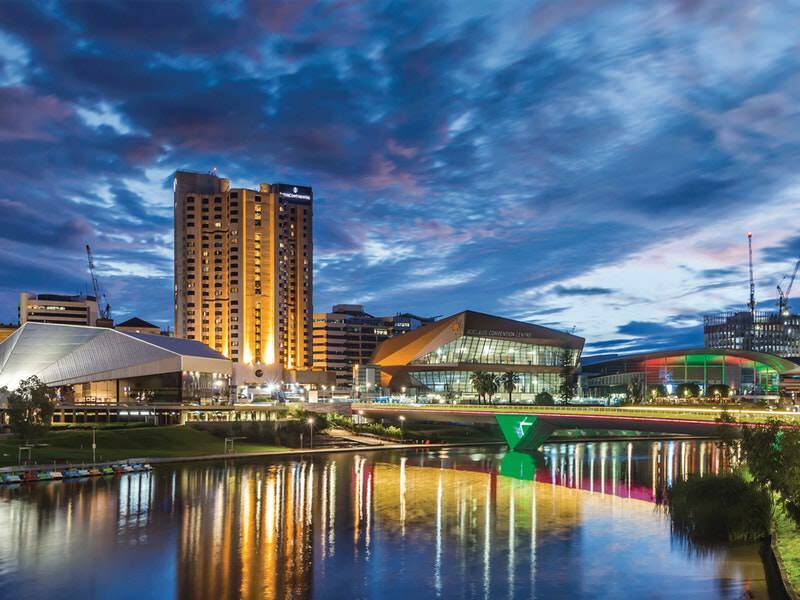 “St Clair is shaping up to become one of the best new suburbs in South Australia and upon completion will incorporate more than 1200 homes along with a brand new Town Centre, Railway Station and 22 hectares of high quality parks, waterways, and community sporting facilities. Starfish Developments is currently actively looking for other development sites in South Australia as well exploring opportunities to joint venture on projects with existing partners. For more information or to register your interest for Avenue, please contact Matthew Rosie on 08 8110 9888 or 0402 145 798. Chasecrown Commercial in conjunction with Tagara Builders and Starfish Developments are happy to announce that our new project Avenue Apartments in St Clair is now under construction. Located on a prime site in the heart of the St Clair town centre adjacent the new shopping village and railway station, the 5 level, 59 apartment building will be the focal point of the St Clair precinct. Comprising of both 1 and 2 bedroom apartments and ground floor entry foyer, construction has commenced and practical completion is to be achieved by June, 2015. How many car parking spaces does it have? ChillyPhilly wrote: How many car parking spaces does it have? Looking at that ground level with all those wonderful walls, loads. Other that that though, seems quite decent. Those wonderful walls are a very good way of hiding what would otherwise be visible carpark on the ground floor, and would spoil the overall look of the building. What's wrong with a project in the suburbs having car parking? But there are better ways. You could have small retail/hospitality spaces along the street at ground level, with the car parking behind, or similarly the small 1 bedroom apartments at ground level, or apartments on the first floor having a split level entrance on to the street. It is a medium-high density residential development located almost immediately adjacent to a brand new train station. Residents of this particular development should therefore be using public transport as their mode of choice. A carpark reduces the social and environmental sustainability of the project too. Unfortunately the real estate market and its ancient mentality means that by default an oft-cited selling point of nearly any property is the number of carpark spaces. I guess it would be safe to assume there would be one car park per apartment? ChillyPhilly wrote: It is a medium-high density residential development located almost immediately adjacent to a brand new train station. Residents of this particular development should therefore be using public transport as their mode of choice. A carpark reduces the social and environmental sustainability of the project too. Come on mate, that is a bit idealistic. Unless these residents have their job, family, friends and all their leisure pursuits in the CBD, they are going to be rather isolated, because let's face it, most people do not consider having to make 2-3 transfers to reach their destination acceptable. More apartments going up near the Coles. The streets were void of life though except tradies even though there's plenty of residents already in the area. The local cafe had one customer in there too. The old race course grand stand was being demolished earlier in the week, might be all down now.